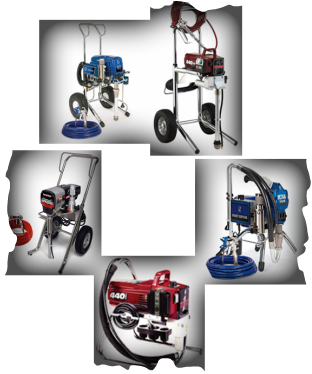 Since 2002, when Northwest Spray & Compressor was founded, we have consistently delivered quality spray equipment to commercial and industrial contractors as well as home owners. While at the same time providing exceptional service to all our customers. With over 50 years experience in the spray industry, our full service technical department offers the most knowledgeable people in the business; to give you the advice and help you need-when you need it. And of course, we carry a complete line of OEM parts and accessories which are typically shipped within 24 hours of your order. Thank you for considering us. We look forward to the opportunity to be a part of your success in the years ahead. With over 30 years experience in the spray industry our service techs can answer all your service needs.